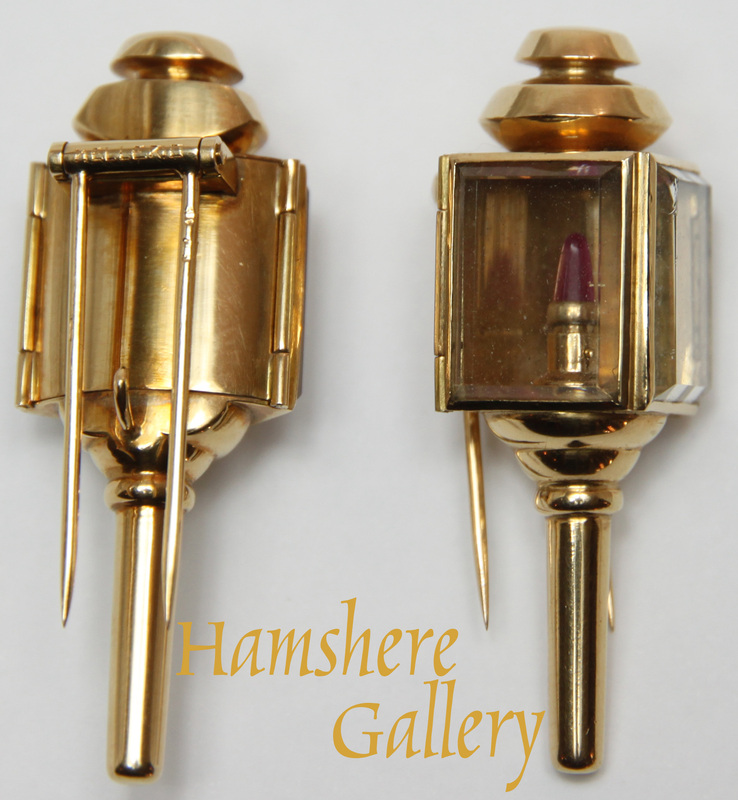 A pair of 18 Carat gold brooch clips by Mellerio of Paris in the form of carriage lamps. Each lamp with bevelled flawless rock crystal and ruby flames. Marked “Mellerio”, and assayed. French, circa 1940. IF YOU ARE LOOKING PLEASE ASK.